Originally the final meeting of the season in the capital, before the Liwa Oasis fixture was abandoned before racing two weeks ago and rearranged for early April, and in many eyes the best. 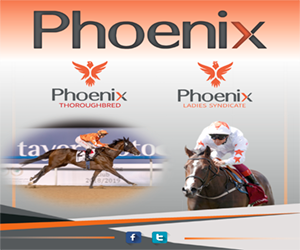 The official feature is the Group 1 Emirates Championship, over 2200m as is the biggest Thoroughbred race of the Abu Dhabi campaign, the Group 3 Abu Dhabi Championship. 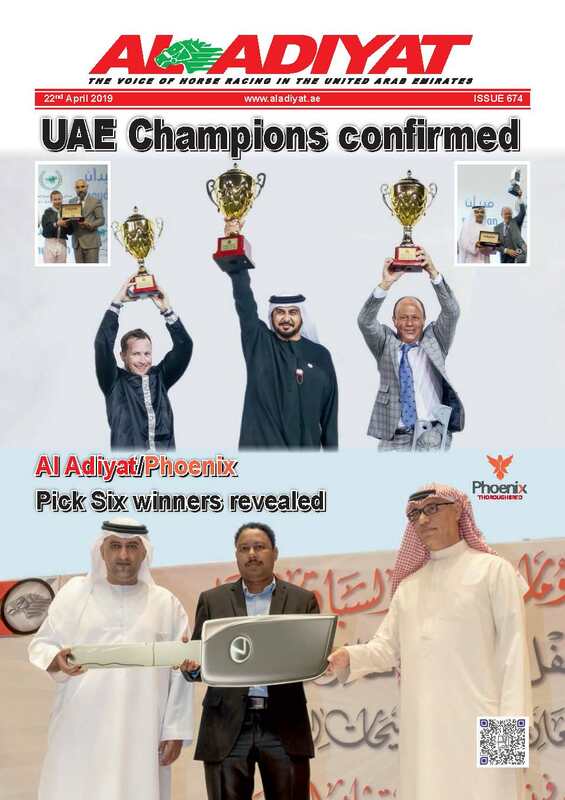 Throw in the Group 3 Arabian Triple Crown R2 and the UAE Arabian Derby, again both over 2200m, as well as the 1600m final of the Wathba Stallions Cup, restricted to horses in private ownership, and there is pretty much something to cater for all tastes. In the feature, Al Zahir will seek to emulate Alanudd, who won it three times, Ezil and Musharab by defending his crown and, as was the case 12 months ago, the 6yo arrives here having, over the same course and distance, won the Group 1 HH The President Cup. That, wearing blinkers for the first time, was very much a return to form and, assuming the headgear works again, he is going to be very hard to beat under what appear his optimum conditions with Jim Crowley, in the saddle for those three big victories, again aboard for Sheikh Hamdan and Ali Rashid Al Rayhi. For the same connections, Dane O’Neill, like Crowley retained by the owner, rides Barnamaj who makes a belated return to action having not been seen in racecourse competition since finishing third, under Crowley, in last year’s Kahayla Classic on the Dubai World Cup card when Al Zahir and O’Neill were fifth. His Group One victory last year was achieved in the 2200m Al Maktoum Challenge R2 and this will be his first local outing on turf. 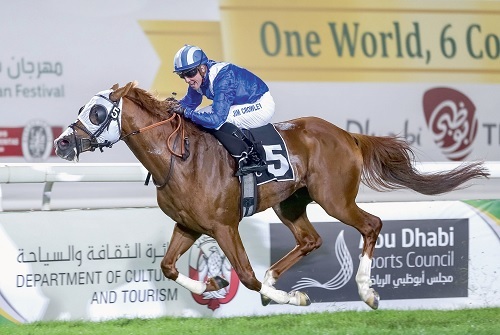 Runner-up in that Kahayla Classic was Chadadd, representing Omani interests then but now in the care of Salem bin Ghadayer, who seemingly has just this one Purebred Arabian, for Sheikh Hamdan bin Mohammed. Fourth in HH The President Cup last year, the 9yo was a Group One winner in Europe but has not fired in either start for connections this season, once on the Abu Dhabi turf, the other on dirt at Meydan so he very much needs to bounce back. 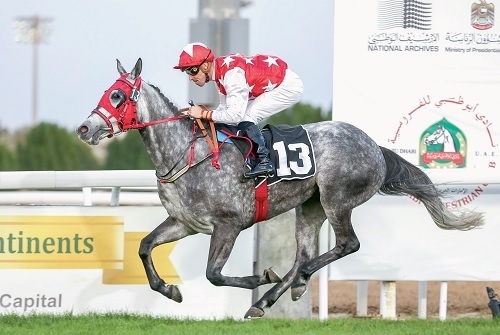 Third in HH The President Cup five weeks ago, having finished sixth in the 2018 renewal, was Darius Du Paon, representing the ever powerful Al Asayl team of Sheikh Khalifa and Eric Lemartinel. 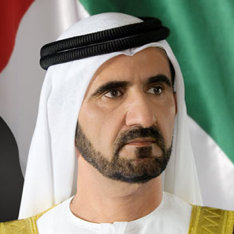 He is virtually guaranteed to run another solid race but it is hard to envisage him actually winning in a quality renewal. Jean de Roualle has few peers when it comes to training Purebred Arabians and saddles Rmmas for Sheikha Fatima bint Mansoor Al Nahyan. He has plenty of ground to make up with Al Zahir, having finished fifth in HH The President Cup over a trip which appears to tax his stamina. Given the amazing season they have been enjoying, the other trainers and owners must be delighted to note that Ernst Oertel and Khalid Khalifa Al Nabooda are not represented! The Thoroughbred equivalent, the Group 3 Abu Dhabi Championship, only attracted nine entries and all were declared to provide a fascinating renewal of a race South African, Mike de Kock, has twice saddled the winner. He relies on Hermoso Mundo, reportedly badly in need of the run on his local debut and only run since July 2018, after 215 days off, when tenth in a 2000m turf handicap at Meydan during the 2019 Dubai World Cup Carnival. 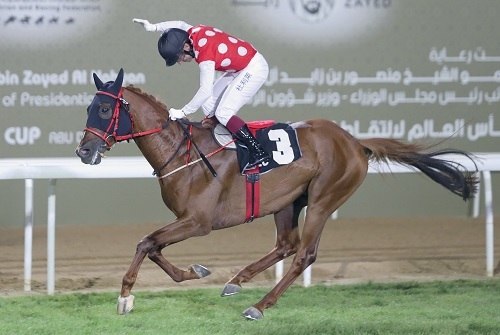 Connections still harbour ambitions of an invitation to contest the Sheema Classic, Dubai Turf or perhaps more realistically the Dubai Gold Cup on World Cup night so the 6yo gelding probably needs to win here if that is to happen. No stranger to success on the Dubai World Cup card is Second Summer, victorious in the 2017 Godolphin Mile when trained by Doug Watson. The 7yo has not won since and has failed to beat a rival in either start this season in the Al Maktoum Challenge R2 and last Saturday’s Dubai City of Gold, on dirt and turf respectively. Both are Group Two contests, so he is dropping in class but it would take a huge leap of faith to tick his number on your Pick Six coupons, especially on a surface he has never won. 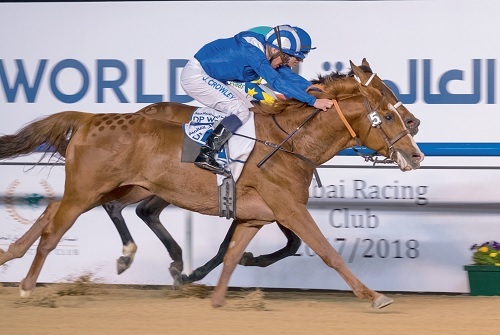 Saltarin Dubai formerly carried the colours of Light The Lights, winner of this last year for De Kock who used to train this 6yo who is now in the care of Satish Seemar but remained in the ownership of Sheikh Mohammed bin Khalifa. Both his local victories have been posted over 2000m on the Meydan dirt but this will be just his third turf outing and, interestingly, will be sporting the silks of Ali Haddad for the very first time. Bin Ghadayer relies on Earnshaw who rarely runs a bad race but has yet to win locally after ‘umpteen and one’ efforts and stable companion, Walk In The Sun, has stamina to prove over this trip. For Erwan Charpy, Kronprinz comes into the race with disappointing form figures but little seemingly went right for him in four carnival outings. 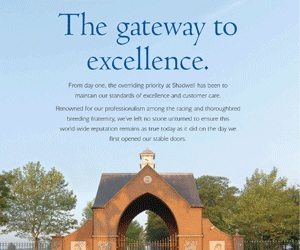 He could surprise a few for his most astute of handlers but does carry a small penalty. Connect, trained by Ismail Mohammed for Sultan Ali, cannot be discounted having not been disgraced behind the likes of Dream Castle at the carnival. For Lemartinel and Sheikha Alyazia bint Sultan Al Nahyan, RB Lam Tara was far too good for 11 rivals in the Listed Arabian Triple Crown R1 and she should have far too much class in the second round. That stunning victory was over 1600m so she has 600m further to go this time but it is doubtful that will stop her. Identical connections also appeared likely to strike in the UAE Arabian Derby, one of those races carrying the Prestige status not seen elsewhere. The horse in question was again a filly, RB Money To Burn who was last seen beating her elders in the 1200m Group 3 Al Ruwais but her name did not appear among the final declarations. Therefore, her stable companions, Eghel De Pine could be the one to beat with Hakeemat Muscat, who found only RB Money To Burn too good in the 1600m Listed Abu Dhabi Championship, feared most. For the record, both the UAE Arabian Derby and Triple Crown races are restricted to the Classic generation, 4yos in the case of Purebred Arabians.